Keep in mind that in order to get the Eyesight active-safety package, you need to step up from the base model—which to us makes the top-level Premium 2.5i the best-value trim of the lineup. The 2015 Subaru Outback is as much of a tough, safe family wagon as ever; but this year, its brawn doesn't come with as much compromise in comfort and quiet. The 2015 Subaru Outback is an ideal family-adventure vehicle in many respects. 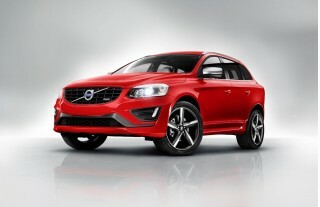 It's nestled in the ideal spot between a brawny wagon and a lean, responsive crossover. And with the finer attention to detail that the Outback has been given for 2015, it's less of an 'either/or' than it ever was; what you get is a vehicle that can more effectively than ever play both roles. The Subaru Outback has, for nearly 20 years, been ‘the way’ that Americans like their wagons—more rugged and butch than a sport wagon, but not nearly as tall and imposing as many of the other utility vehicles that work for active families. Then there was Major Change for this model five years ago, as Subaru sized it up from where it had been—a generous-sized compact—to what's essentially the generous end of mid-size. It’s not tremendously surprising that Subaru hasn’t messed all that much with ‘the way’ in this fully redesigned version of the Outback. Again based on the latest (and recently all-new) Legacy sedan, the Outback is just as family-oriented than ever, while is by a long shot the best-selling of Subaru’s models in the U.S. Fundamentally, the Outback hits the sweet spot of the U.S. family market; at around 190 inches long, it's easy enough to park, and unlike some vehicles this size, there's no attempt to wedge a third-row seat in back. Instead, the emphasis is gear; Outback buyers are outdoor types (far more likely to venture beyond where the pavement ends, on the way to kayaking or mountain climbing, for instance), and so with space for up to five adults and gear, assisted by the nifty 'convertible' roof rack, the Outback does what many SUVs are intended to do—only with a better ride, more nimble handling, and better fuel efficiency. Inside, the new Outback is also an evolution rather than a radical rethink, but we see it as uncontroversially better in every respect. Subaru has lost the upright, 'winged' look of the previous instrument panel and instead gone with more of a squared-off, high-end-audio look at the middle, with smooth, organic curves to the trim elsewhere and the corners pushed outward even more. With additional upgrades to the seats and the quality of the trims, the 2015 Outback is definitely stepping further upmarket. Powertrain offerings, performance hardware, and the layout of the Outback are all going to be familiar to those who have considered this model before (or owned one). Across the lineup, you have a choice between 2.5i and 3.6R models. The Outback 2.5i models come with a 175-horsepower, 2.5-liter horizontally opposed (‘flat’ or ‘boxer’) four-cylinder engine—the new FB-Series version—while the 3.6R models get a 3.6-liter boxer six, making 256 hp and 247 pound-feet of torque. Steering goes electric-assist across the model line, and the ratio is quicker than that used in its predecessor; brakes get an upgrade, too, with ventilated four-wheel discs now in all models. And a new X-Mode system, aimed at lower-speed driving in challenging conditions where traction might be limited, helps the Outback's systems maintain composure—aided by Hill Descent Control, a Hill Holder mode, and a special logic for the stability control and all-wheel drive systems. All versions of the Outback now have a Lineartronic continuously variable automatic transmission (CVT). Engineers have gone to extremes—we’re talking serious extremes—to hide the fact that you’re driving a CVT, and the 'motorboat'-like sounds and rubber-band sensations they can sometimes bring. The programming with this one has it being a great pretender, most of the time following ratios all the way up the range and shifting as if it were a somewhat relaxed automatic transmission. Ride and handling are better than ever, too. Former versions of the Outback ended up involving some pretty pronounced tradeoffs in ride and handling in order to achieve that off-the-pavement toughness; finally, for 2015, we feel like the Outback doesn’t involve as much of a sacrifice in its on-the-road role in order to achieve that toughness. 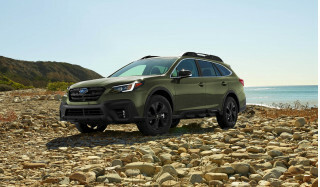 Trail prowess and all-weather ability have always been the flip side of the Outback’s performance appeal, and they get a step better in the new Outback, as it inherits the Enhanced Active AWD system and new X-Mode from the Subaru Forester. Active torque vectoring allows better control of individual wheels in some low-traction surfaces, and some wheelspin to help power through low-traction situations like snow or mud. The Outback maintains 8.7 inches of ground clearance—more than some taller crossovers with more rugged profiles. To provide a general impression of what it's like to drive the Outback: It still feels as if you're in a mid-size car, jacked up a few more inches. The driving position remains more relaxed and carlike, and even though you have more ground clearance versus many serious-looking SUVs, you don't sit quite as upright or high up (it's an ideal height for getting in and out, really). 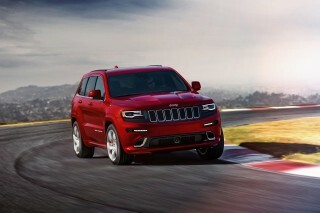 You sit behind the steering wheel, rather than up and almost over it, as in those upright SUVs. We found the front seats of the Outback to be a little more comfortable than before (thanks to just a little more thigh length in the cushions, we were told); meanwhile, the upholstery has been upgraded across the model line (Limited models get some impressive perforated leather), and models with heated seats now have warmers for the length of the back area as well as the lower cushion. In back, expect plenty of space for adults; legroom isn't abundant, but there should be enough for most passengers, and thanks to that additional width this is a vehicle where you can do three-across in back without feeling too crammed-in. The Outback's cargo floor is relatively low and easy to get to; very few people will have trouble lifting the hatch with one arm either, although in Limited models you get a power liftgate with memory height settings. Seatback release levers for all models are now back in the cargo area, and flipping the rear seatbacks forward is an easy, one-arm task. The Outback has a great reputation for safety, and with five-star federal ratings plus top 'good' crash-test results from the Insurance Institute for Highway Safety (IIHS) and its Top Safety Pick+ nod, it's one of the most solid safety picks on the market. A rearview camera system is now included, and Subaru's EyeSight suite of active-safety systems (top-rated by the IIHS) is available on most of the model line. Subaru’s EyeSight active-safety system, which uses a multiple-camera system to incorporate Adaptive Cruise Control, Pre-Collision Braking, and Vehicle Lane Departure Warning, is available, as is Cross Traffic Detection and a new Subaru Rear Vehicle Detection System (standard on the Limited model) that can see vehicles in blind spots, warn you of approaching vehicles in adjacent lanes, and detect vehicles cross traffic as you back out of a driveway. And newly available Steering Responsive Fog Lights can independently activate a left of right fog light in the direction of a turn. With downsized camera hardware, an increase range, and new features like Cross Traffic Detection, the system can effectivly warn you of hazards and brake you to a stop, to help avoid an accident. The 2015 Subaru Outback offers a lot of value in 2.5i and 2.5i Premium forms; Limited models offer even more, although they push the Outback up against rival models from Audi and Volvo. If you go for a four-cylinder 2.5i, the 2015 Subaru Outback is offered in three different models: standard, Premium, and Limited. These three trims add progressively more equipment—and stepping up to each respective one involves a rather large step up in price. The 3.6R adds a six-cylinder engine, but it's only offered in top Limited form. 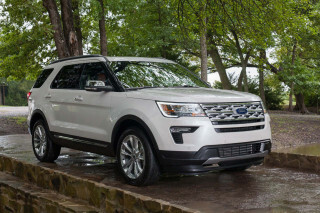 Premium models include a power driver’s seat, dual-zone climate control, heated front seats, heated side mirrors, a windshield de-icer, leather steering-wheel trim, fog lamps, and an upgraded entertainment system. Limited models add perforated leather upholstery plus memory settings for the driver’s seat, a power front passenger seat, and a power rear tailgate (an Outback first). Limited models step up to 18-inch alloy wheels. Our pick of the lineup, though is the 2.5i Premium, where you get heated seats, upgraded infotainment, dual-zone climate control, and more, for $27,845—or $29,540 with EyeSight, as part of a $1,695 option package. Unfortunately, the power rear tailgate—an unnecessary piece of kit as we see it—is mandatory if you want EyeSight, which we do highly recommend. The 2015 Outback has evolved in subtle ways and is ubiquitous on the outside—although its interior looks and feels better detailed and more stylish than before. The Subaru Outback arguably set the template for rugged crossover wagons—and then almost pigeonholed itself into too tight of a niche. Then five years ago Subaru upsized the Outback, making it a true mid-sizer. Although the 2015 Outback has no common sheetmetal, and very few if any common parts, with its predecessor, it doesn’t look all that different. On closer look, if you know the outgoing car, there are some changes that add to space and functionality, and give it a somewhat more assertive look. The new 2015 Outback looks simultaneously more blunt and SUV-like yet also a little more rakish and ‘swept back.’ The curvature of the hood is a bit different, and the grille is now a somewhat more upright, showcasing the grille, which has active grille shutters within and a new horizontally slotted look that we think, altogether, makes it even more SUV-like in appearance and further separates it from the Legacy sedan on which it’s based. The silhouette and roofline have become more adventurous as well, with the front windshield pillars steeper and a little more ‘arch’ to the roof. And with those steeper front pillars, the mirrors have come back, behind smaller front partial windows, as Subaru has done with the Impreza family, the Legacy, and most of its models by now. The 2015 Subaru Outback has more depth of character than other crossovers or its predecessor; on one side, it feels somewhat livelier on the road, while on the other side it gets improved off-pavement performance with a new X-Mode. Like a good trail-running shoe, the Subaru Outback has always managed to handle it all—from dusty, rocky trails and stream beds to mountain roads, suburban boulevards and freeways. What sets the 2015 Outback apart, however, is that it has two different performance modes—including a new X-Mode that allows the Outback to become more trail-savvy when you need it to be, while offering more on-the-road responsiveness the rest of the time. Powertrain offerings, performance hardware, and the layout of the Outback are all going to be familiar to those who have considered this model before (or owned one). Across the lineup, you have a choice between 2.5i and 3.6R models. The Outback 2.5i models come with a 175-horsepower, 2.5-liter horizontally opposed (‘flat’ or ‘boxer’) four-cylinder engine—the new FB-Series version—while the 3.6R models get a 3.6-liter boxer six, making 256 hp and 247 pound-feet of torque. Subaru points out that the 3.6R models make at least 225 lb-ft of torque from 2,000 to 6,000 rpm; but in real-life driving it feels as if the 3.6R doesn’t quite serve up the wall of torque offered by the turbocharged four-cylinder offered in the Subaru Forester XT. Both engines now have a Lineartronic continuously variable automatic transmission (CVT) that, for this generation of the Outback, has been tuned to follow simulated ratios up the rev band, and shift in steps, in a way that will altogether fool most people—even the driver, perhaps—into thinking that it's a conventional six-speed automatic. Even when you mash your foot to the floor, it still follows steps; only when you accelerate very lightly does it more rapidly (and subtly) ratchet the effective ratio in such a way as to keep the rev counter pegged down below 2,000 rpm. With either engine, sluggish launch performance (from a standing start) is our only complaint, really; for the four, it doesn’t seem to be an issue of the rather narrow range of ratios from the CVT sets the four-cylinder engine off on a rather tall starting ratio. That said, the Outback can tow up to 3,000 pounds with the 3.6R or 2,700 with the 2.5i, provided you keep the tongue weight down to 200 pounds. Brake performance is great (Subaru has upgraded the brakes for 2.5i models for 2015, and all models now come with four-wheel ventilated discs), and there’s really not much nosedive. And the ABS includes a logic for unpaved roads; we slammed them on momentarily on a washboard-like gravel road and the system didn’t show any fluster. The Outback has been given a somewhat quicker steering ratio for 2015, although that doesn't make it twitchy on center; it tracks well, and if anything the quicker ratio and suspension retune make it feel a little more tossable than before. Compared to the four-cylinder models, six-cylinder models of the Outback have a noticeably heavier steering feel—simply a matter of more weight over the front wheels, as the steering gear and boost curve is the same. Trail prowess and all-weather ability have always been the flip side of the Outback’s performance appeal, should get a step better in the new Outback, as it inherits the Enhanced Active AWD system and new X-Mode from the Subaru Forester. Active torque vectoring should allow better control of individual wheels in some low-traction surfaces, and some wheelspin to help power through low-traction situations like snow or mud. The Outback maintains 8.7 inches of ground clearance—more than some taller crossovers with more rugged profiles. X-Mode sounds like it could be a marketing gimmick, but what it amounts to on the trail is a wonderful, single-mode set-it-and-forget-it toolkit for lower-speed driving far after the pavement ends. In short, it makes the accelerator pedal less touchy, changes the shift pattern for the transmission, and makes the all-wheel-drive system much more proactive and eager to send power to the rear wheels. Further, the Vehicle Dynamics Control (VDC) system is more aggressive in its efforts to quell individual wheelspin and send engine torque where it can be used. X-Mode includes Hill Descent Control, as well as an electronic Hill Holder system that allows you to take off easily from an uphill stop, even when you have less-than-ideal traction. As rugged as the 2015 Subaru Outback is, it manages to offer great on-the-road comfort—and cabin comfort—for all the time that you spend on pavement. 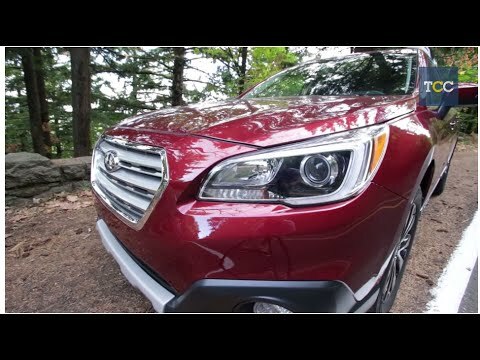 Whether it's a cruising along with cross-country trip on the Interstates, taking the kids to soccer practice, or scrambling up a rutted trail to a remote campsite or rock-climbing spot, the 2015 Subaru Outback is set up in a way that allows enough ruggedness for the task—and enough space for people and gear—all without sacrificing comfort along the way. Subaru has essentially kept the length, height, and wheelbase of the Outback, but made it about two inches wider inside. Also, engineers have rejiggered rear-seat space so as to free up a couple more inches fore-and-aft. There’s a bit more cargo space as well. We found the front seats of the Outback to be a little more comfortable than before (thanks to just a little more thigh length in the cushions, we were told); meanwhile, the upholstery has been upgraded across the model line (Limited models get some impressive perforated leather), and models with heated seats now have warmers for the length of the back area as well as the lower cushion. In back, expect plenty of space for adults; legroom isn't abundant, but there should be enough for most passengers, and thanks to that additional width this is a vehicle where you can do three-across in back without feeling too crammed-in. One of the common complaints of the last-generation Outback was that, while it made some tremendous gains in interior space, it was a relatively noisy car inside. For this 2015 Outback, engineers have gone to great measure to make the cabin quieter and more refined. That's achieved by thicker panels for the floor, lower firewall area, rear-wheel apron, and inner fenders, while more foam insulation and floor damping has been used. There's also a new acoustic windshield, and the engines now get liquid-filled engine mounts. The one exception on the comfort front comes when a trail is extremely articulated and uneven (over small branches or ruts, for instance); because the Outback's car-derived suspension doesn't allow much wheel articulation, there you'll find a lot more 'head-toss' (a side-to-side shaking) than in some of the toughest SUVs. The Subaru Outback has been a safety standout for many years, and the 2015 model steps it up with a new generation of Eyesight active safety features—plus the safety of X-Mode when the going gets tough. The Outback has a great reputation for safety, and with top 'good' crash-test results from the Insurance Institute for Highway Safety (IIHS) and its Top Safety Pick+ nod, that's already being reconfirmed for the new model. With the redesigned 2015 version, Subaru has stepped up its active-safety features, including its suite of Eyesight technologies that might just help you avoid an accident. The 2015 Subaru Outback absolutely aced the IIHS battery of frontal and side crash tests—as well as roof strength and rear (seat-based) tests—with top 'good' performance in every single subcategory. That's definitely better than last year's models, which had a very good yet imperfect report card, with the second-best 'acceptable' rating in the front small overlap category. 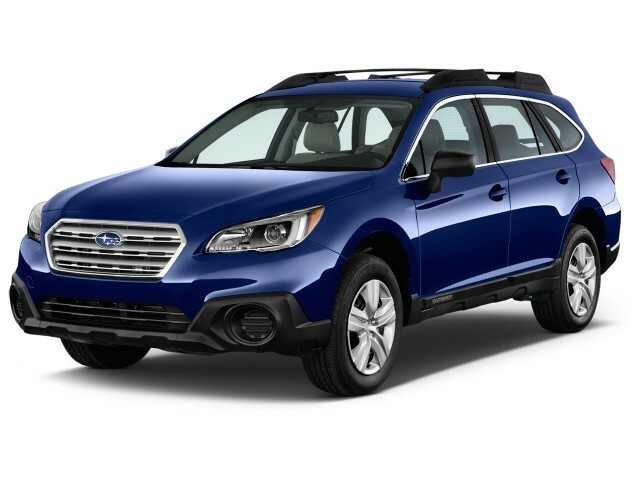 And with federal five-star results in every category except rollover, the Outback is one of the top achievers on the market, and one of the few models to earn a '10' here. A so-called version 3 of Eyesight allows the system's vision to extend 40 feet more than before; the system's forward detection and auto-brake capability (top-rated by the Insurance Institute for Highway Safety) will now brake for a distance in vehicle speed (versus the vehicle ahead) of up to 30 mph. There's also new brake-light recognition, and the camera size is about 15 percent smaller. Blind-spot detection and with Lane Change Assist helps mind your visibility (which really isn't that bad, looking outward), and there's a Rear Cross Traffic Alert system that notifies the you of vehicles approaching from a perpendicular direction while you're reversing. As well, Subaru has made some structural improvements that should result in top-tier safety ratings. All models in the lineup now include a rearview camera system, and in addition to the usual array of airbags there are new front seat-cushion bags aimed at holding occupants in place during a frontal crash; there's also a new rollover sensor affecting the side bags. The 2015 Subaru Outback offers a lot of value in 2.5i and 2.5i Premium forms; Limited models offer even more, although they push the Outback up against rival models from Audi and Volvo. If you go for a four-cylinder 2.5i, the 2015 Subaru Outback is offered in three different models: standard, Premium, and Limited. These three trims add progressively more equipment—and stepping up to each respective one involves a rather large step up in price. The 3.6R adds a six-cylinder engine, but it's only offered in top Limited form. Base Outback 2.5i models include air conditioning, cruise control, an overhead console, and power windows, locks, and mirrors. At the Premium level you get a 10-way power driver's seat (including power lumbar), a leather-trimmed steering wheel, fog lamps, privacy glass, dual-zone automatic climate control, air filtration, heated front seats, heated outside mirrors, and a windshield-wiper de-icer. Step up to the Limited models and you get perforated leather upholstery, two-position memory settings for the driver's seat, dual-mode heated rear seats, and a power tailgate with memory height. Limited models also get power front passenger seat, but it's only four-way adjustable and there's no fully adjustable option (it's locked in a lower-cushion position that we're not sure everyone will be happy with). Entertainment systems in the 2015 Outback have been vastly improved, and even on the base model they now include a 6.2-inch display with HD Radio, a single CD player, touch/gesture control, Bluetooth hands-free calling and audio streaming, iPod connectivity, and a USB port and auxiliary input. They also have Starlink smartphone integration that allows streaming audio with on-screen functionality, through Pandora, Aha, and iHeartRadio apps. All models have LED taillamps; 2.5i models have halogen headlamps while 3.6R models get HID headlights. Outback Limited models also get a new 576-watt Harmon/Kardon premium audio system that includes HD Radio, 12 speakers, a front center speaker, and a rear subwoofer. The optional navigation system in the Outback now has enhanced voice commands, allowing natural-language phrases that can control the phone, entertainment, navigation, and even climate functions. Outback models with the optional EyeSight active-safety package include a five-inch center gauge display, while other models have a simpler 3.5-inch one. 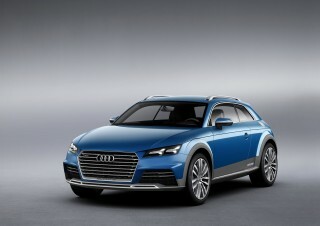 And on all models you get enhanced fuel-economy and trip-information displays. 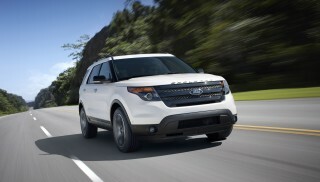 Limited models and all 3.6R models also upgrade to 18-inch alloy wheels, while other models get 17-inchers. And for utility, the roof rack moves to an enhanced, more supported version of the swing-out design that was offered previously. The 2015 Subaru Outback remains either an exceptionally fuel-efficient SUV or a relatively efficient wagon—depending on how you see it. For those who are concerned with fuel economy and carbon footprint, the 2015 Subaru Outback offers many of the same advantages as it has for the nearly 20 years that it’s been on sale: better fuel efficiency than other off-road-capable utility vehicles—most of which are much heavier and taller to achieve the same sort of ground clearance and capability. It’s mostly kept a step ahead of those heavier, boxier SUVs—even though it still doesn’t offer the hybrid powertrains or diesel engines you’ll find on some other utility vehicles. The 2015 Outback models with the four-cylinder engine (2.5i) now manage 25 mpg city, 33 highway—also a significant improvement over the 2014 model, thanks mostly to a completely reworked engine, but also to a retuned transmission. Also contributing to the gains are a couple of new technologies: active grille shutters, which aid engine warmup; and electric power steering for all models. Aerodynamics have also been improved across the model line. With the new high-torque version of Lineartronic subbed in place of the former automatic transmission for 2015, six-cylinder (3.6R) models of the Outback now return an EPA-estimated 20 mpg city, 27 highway—a big improvement over the 17/25 mpg of the 2014 model. As for how you see these numbers, it depends on what you’re stacking the Outback up against. If it’s SUVs like the Jeep Grand Cherokee and Ford Explorer, the Outback looks very efficient; although if you take a look at premium-brand rivals—from BMW and Mercedes-Benz especially—the Outback isn’t quite the efficiency standout. Even though it’s far more affordable. There's plenty of good inside and out with the new design of the Outback. I have the premium package with upgrades to leather seats, power liftgate with memory and EyeSight. I really like the EyeSight safety... There's plenty of good inside and out with the new design of the Outback. I have the premium package with upgrades to leather seats, power liftgate with memory and EyeSight. I really like the EyeSight safety features, a package that rivals or surpasses what is available on high-line brands like BMW or Audi. The Outback's ride height is just right, not so high that you need a step ladder to get in and out, but higher than a sedan with easy entry and exit. Ride comfort is very good, especially considering the model's off-road prowess. Steering is responsive and fairly tactile for a non-performance vehicle, the CVT shifts are effortless and nonintrusive and the cabin is pretty quiet at highway speed. Seats are plenty comfortable and the climate and entertainment systems are intuitive. My real-world combined MPG hasn't approached the advertised 28, more like 24. I probably have a little more of a lead foot than average, so that's where the discrepancy most likely comes from. The only nit to pick with the Outback is a lack of acceleration from a stop. A lot of drivers might not even notice the lack of power, depending on what they are used to. Passing or merging acceleration is fine for 99 percent of what most drivers will encounter in day-to-day road work. Live in the country and feel safe on the country roads. Like Eyesight feature. Took some getting used to not having auto door locks. Would like auto running boards. Only after market running boards seem to be... Live in the country and feel safe on the country roads. Took some getting used to not having auto door locks. The Outback does a lot; mostly very well, indeed. At its' cost point it is a great buy. Great handeling, very good composure and surefootedness on poor to middling roads, great utility, good road performance... The Outback does a lot; mostly very well, indeed. At its' cost point it is a great buy. Great handeling, very good composure and surefootedness on poor to middling roads, great utility, good road performance, safety, acceptable quality in interior finishing,and a good electronics package. And there's the rub: for a fistful of dollars more it could've been an outstanding car. The passenger seat should have 8 way power and Subaru should offer a sport seat option ala BMW/Audi Underthigh support is abysmal for a long legged passenger; somewhat ameliorated for the driver via the power seat. 2015 Outback 3.6R is the Best Wagon Overall. The 2015 3.6R Outback offers the best combination of space, comfort, reliability, performance, safety and mobile phone integration. 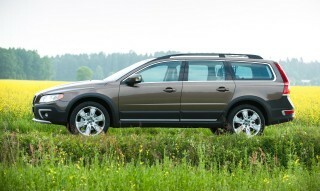 This vehicle is replacing a BMW 528iTa, and the Outback was the winner over... The 2015 3.6R Outback offers the best combination of space, comfort, reliability, performance, safety and mobile phone integration. 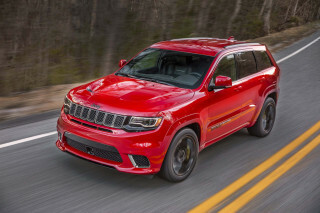 This vehicle is replacing a BMW 528iTa, and the Outback was the winner over the BMW X5, Jeep Grand Cherokee Limited, BMW 3-series wagon, Mercedes E350 and Acura TSX. Other vehicles I considered were the BMW X3,Porsche Cayenne, Audi Q7, Audi Allroad, Lexus RX 350, Toyota Highlander, Acura MDX, Mazda CX-9 and Hyundai Santa Fe. Straight up, side-by-side, no car handled better than the BMW 3-series, and performance for every day driving is only beaten by cars costing $50k more. Taking that as the bar to reach, Subaru's Outback with the 3.6 is a close second, surprisingly outperforming the BMW X5 and X3. Mercedes's E350 was the dog. Safety wise, the E350 is a tank, but at the cost of interior room. The Outback has shoulder and height space to spare, which also translates to maximum cargo room when the back seats are down. Need to pack 4 new dining room chairs into your car? Outbacks have the most space without borrowing a truck or minivan. Driving is additionally enhanced by all wheel drive system that automatically changes the ratio of power between the front and rear axles. This isn't Audi's independent wheel system, but provides equal confidence when road conditions are less than ideal and when you're driving offroad. I purchased the Premium model with the eyesite option. It really helps with the lane warning and adaptive cruse control on long trips. The gas mileage is great so we don't have to stop often for gas and can... I purchased the Premium model with the eyesite option. It really helps with the lane warning and adaptive cruse control on long trips. The gas mileage is great so we don't have to stop often for gas and can find cheaper gas within the range. I don't think there's a better value available. This is a great, versitale vehicle! I'm really happy I bought the adaptive cruise control and eyesight safety features. We just completed a 2,000 road trip and... I don't think there's a better value available. This is a great, versitale vehicle! I'm really happy I bought the adaptive cruise control and eyesight safety features. We just completed a 2,000 road trip and these new features worked flawlessly. We averaged almost 28 mpg with our 3.6 engine! This Outback has more room than previous models and the navigation system has been tremendously improved. Knowing that Subaru has all wheel drive adds a level of confidence that other vehicles don't offer. We've driven through some nasty snow storms and always felt safe and under control. The 7+ inches of clearance has also allowed us to travel over some pretty rough mountain roads.